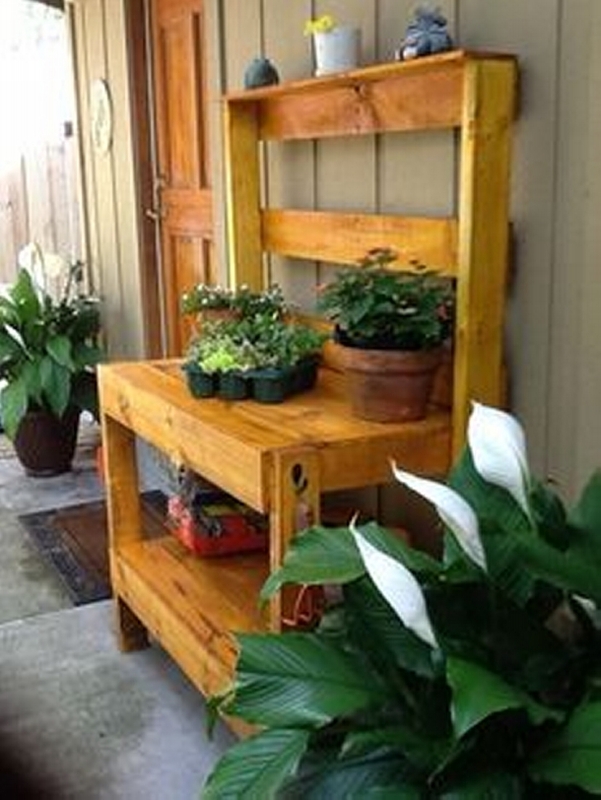 I think each year when the planting season begins, the gardeners start to envision some great potting benches that would prove to be their best companion while working in the garden. 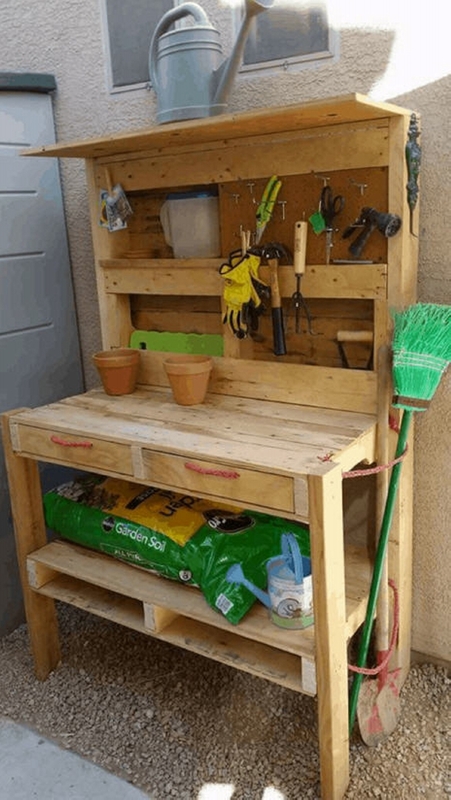 The one with sturdy base, and the top that is pretty spacious, this would literally be a dedicated home for all the pots, tools and other garden essentials. 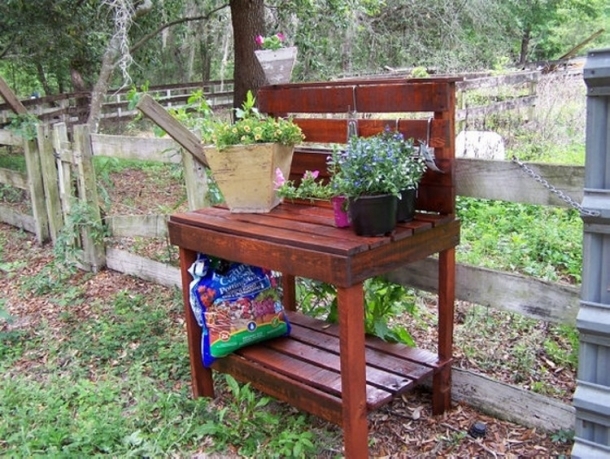 Just to do some good to those obsessed gardeners, we are presenting here some most practical wood pallet potting benches. They have got it all, style, fashion, ample space along with a strong a sturdy base. Depending on your priorities, pick one out of them for you. This one a bit similar to a typical kitchen cabinet is all equipped with all the essential segments like a spacious top where all of tools and garden essentials could be placed, a sturdy base to carry the heavier weights, and some built in drawers where some additional storage space is also available. The next one is may be designed by some cunning wood pallet crafter who is much specific and choosy, as the potting table reflects shear decency and elegance. Its bright white color makes it a noticeable feature of the garden. 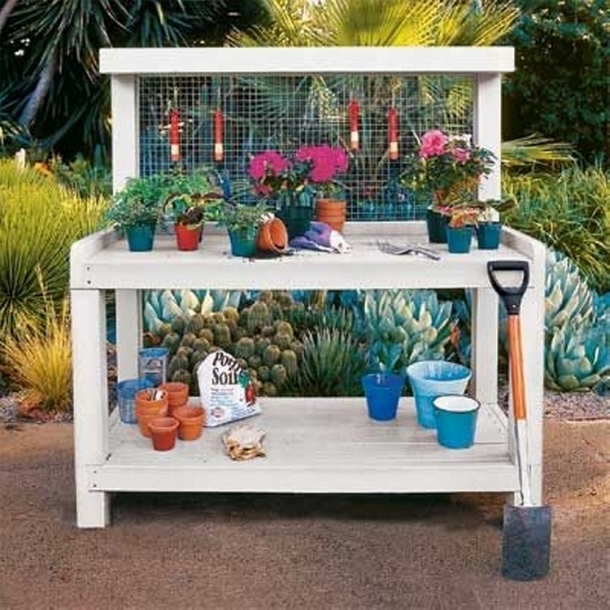 Plus very well equipped with all the essentials of a good wood pallet potting table. 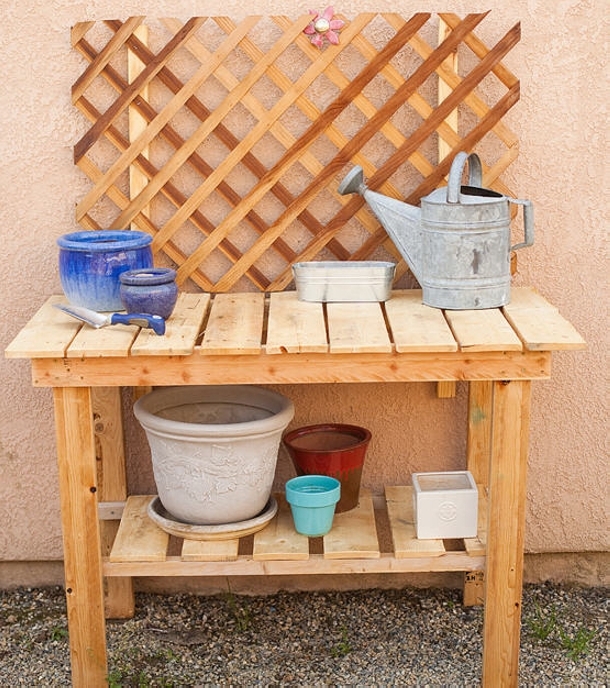 Apparently this might look the simplest potting wood pallet table, but the compensation is done with the wooden backdrop that carries a chevron pattern making it look like a designers potting table. Though the table is mere a straight and simple wooden pallet table with some ample space. 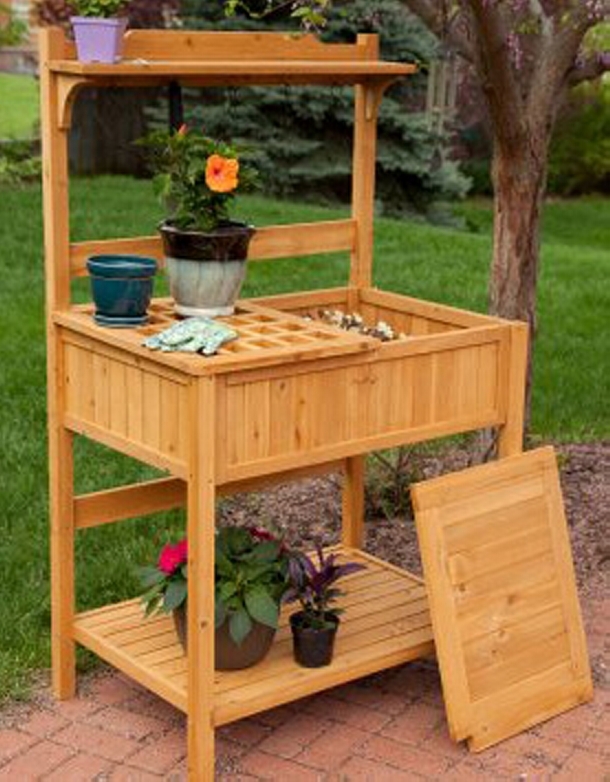 I would name it just an ultra modern and stylish wood pallet potting table. 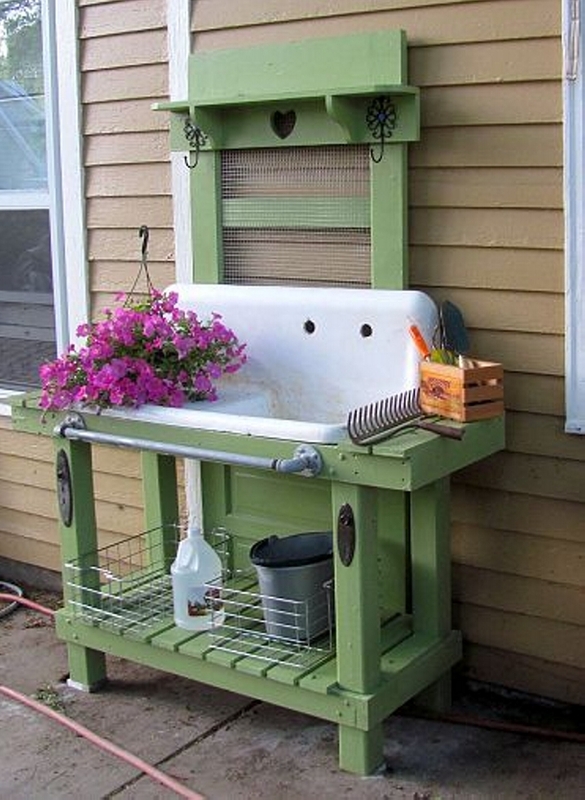 I think more than a potting table, this seems like some garden décor plan. Finest and freshest shipping pallets were gathered to make this one. 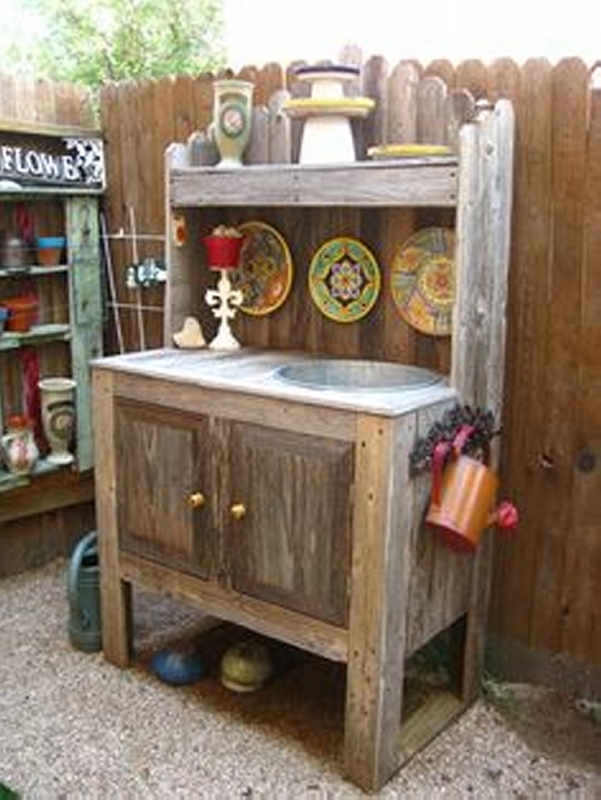 Design is simply gorgeous, and the multi storey wood pallet potting table is really an exception. 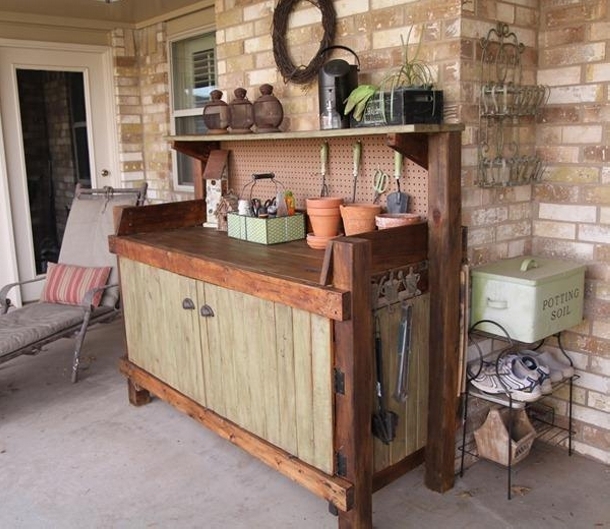 And this one is a bit industrially inspired wood pallet potting table. It has got some metallic extensions. Metallic net is used on the upper front structure, the stature is a bit too high. While the rest of space is pretty sufficient for the job this is made for. 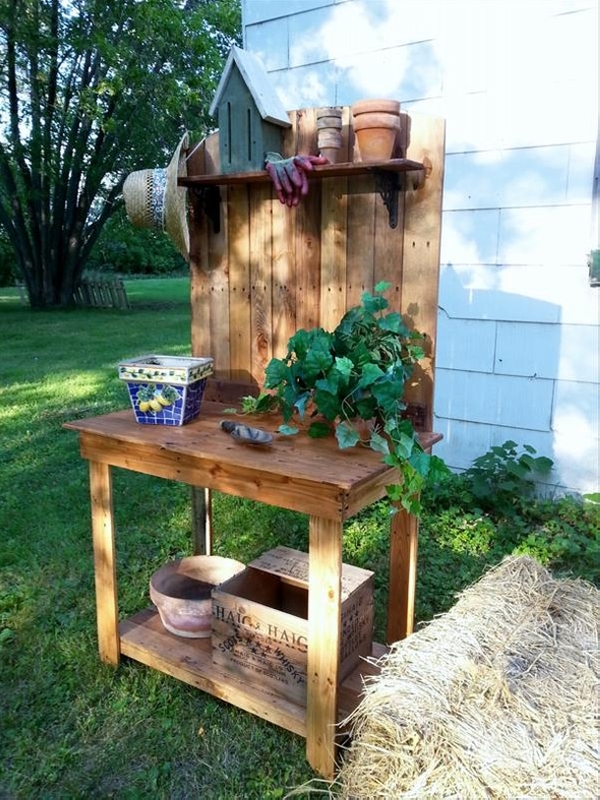 And this one is the roughest and most rustic wooden pallet potting table. This can easily be seen that some broken and deteriorated wooden pallet planks are used in making the basic frame. But still the design and shape is pretty perfect for the cause as it has got it all to be a perfect potting table. 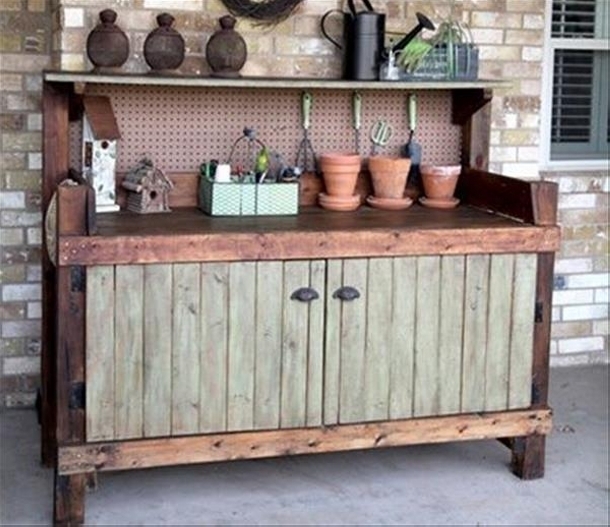 Wow, this is another multi storey wood pallet potting table. Having a complex design with some additionally complicated features, this is something beyond perfection. It has got all those specific racks, segments, drawers, cabinets and all. In short this one is made using shear skill and a lot of home work on the design. While the last one is too easy to be initiated by the beginners and amateur wood pallet crafters. Its design is simple, with relatively lesser space, this one could be lacking a bit, but still can work.